John B. Lindsay is a shareholder of the firm and practices in the Real Estate Section. 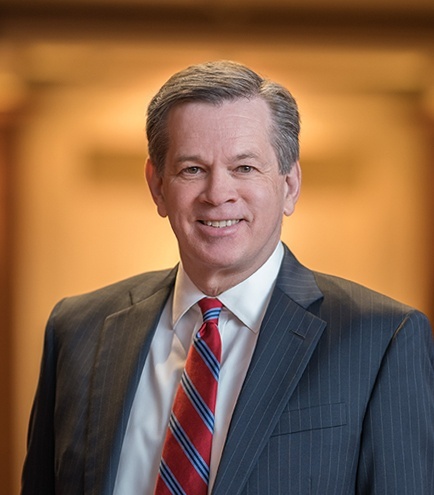 Prior to joining Kirton McConkie, Mr. Lindsay practiced law at the firm of Callister Nebeker & McCollough for twenty-six years where he served as a Director and as Chair of the Real Estate Section. Mr. Lindsay represents commercial lenders in affordable multi-family projects and complex commercial real estate transactions. A major part of his practice involves the USDA 538 Multi-Family Rural Development Program and loans to LIHTC projects. Mr. Lindsay has closed more than three hundred 538 Program loans in thirty-eight states and is considered a national expert for the 538 Program. Mr. Lindsay represents a national bank in many aspects of its real estate lending, including loans involving assisted living centers, apartments, affordable housing projects, office buildings, retail centers, syndications, participations, and ground leases. Mr. Lindsay also represents lenders in transactions that concern multi-lender fund agreements for transit oriented development and small business loans. In addition, his practice includes representing lenders and borrowers in HUD 221(d)(4) transactions. Mr. Lindsay was voted the Utah Real Estate Attorney of the Year in 2015, by CCIM, and has been recognized as one of Utah’s “Legal Elite” as published in Utah Business Magazine. Mr. Lindsay maintains an AV Preeminent rating with Martindale-Hubbell, which is the highest rating awarded to attorneys for professional competence and ethics. Prior to attending law school, Mr. Lindsay obtained an MBA and worked as a commercial loan officer for Zions First National Bank.